Do we detect danger? 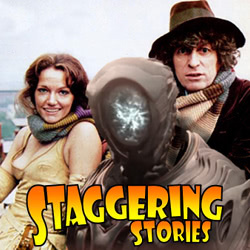 Yes, Staggering Stories Podcast 292: Lost in Netflix is now available! Doctor Who: Energy of the Daleks (Big Finish). Lost in Space (Netflix season 1). Plus, as ever, lots of news (Doctor Who, Star Wars/Trek, webcam users and more). More madness than a robot without flailing arms!